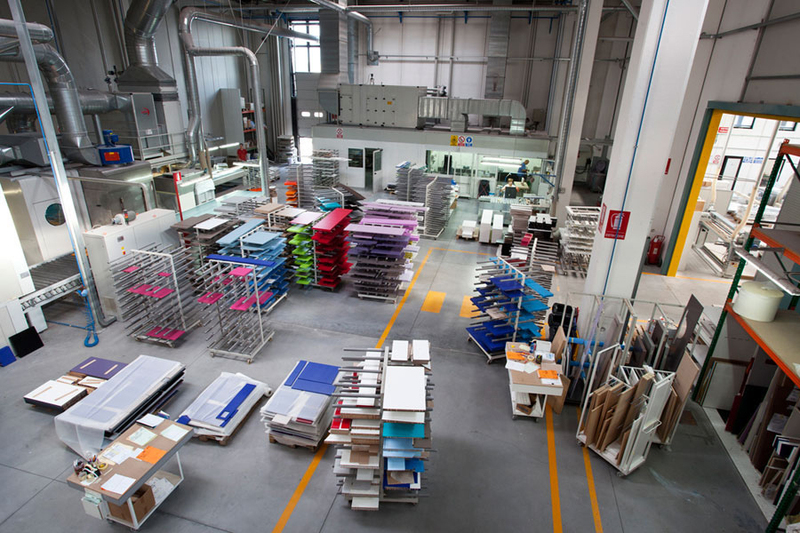 On tour was the finishing operation at Novamobili, a manufacturer of flexible, modular systems, including wardrobes/closets, bedroom and living room furniture. 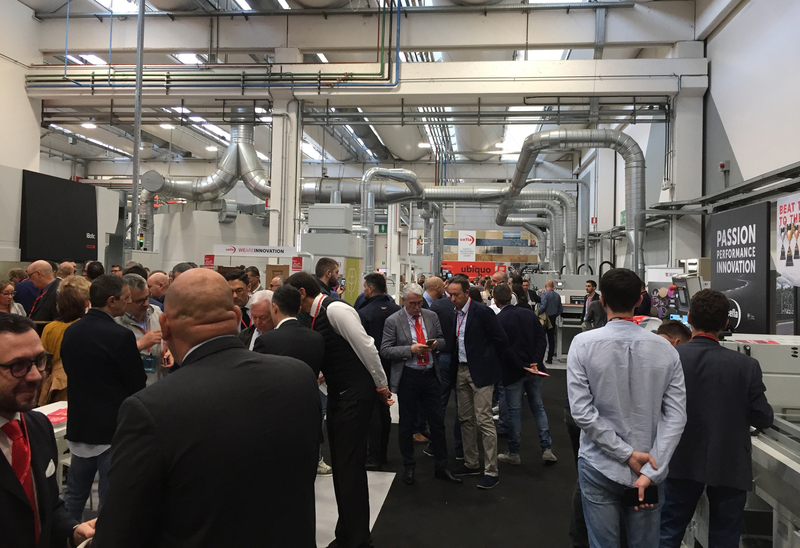 The week-long event kicked off with a visit to the Cefla Live event at the company’s headquarters in Imola, Italy. 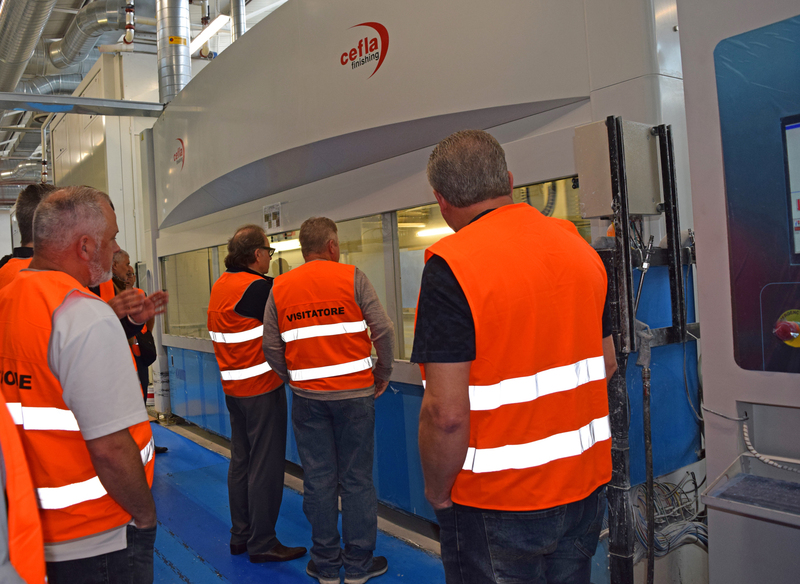 An annual event, the international Cefla Live included demonstrations of digital printing, robotic and edge technology for the finishing and decoration of wood and other materials. 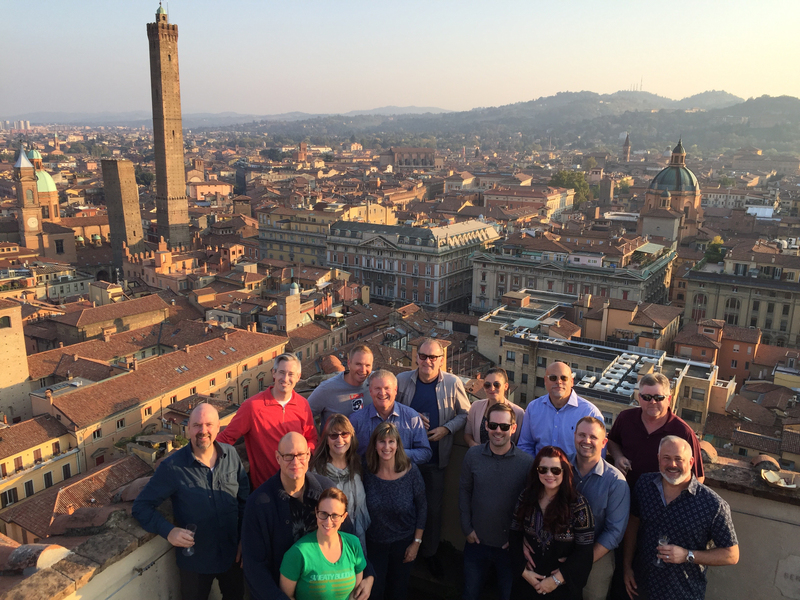 The North American contingent, which included representatives from Hoffman Cabinets Inc., Innovative Custom Trimworks & Woodmatrix, Widner Product Finishing Inc., Universal Woods Inc., Maze Machinery and Woodworking Network, also visited cabinet, furniture and closet component manufacturers Ilcam, LAPM Italdecor, Arbi and Novamobili. 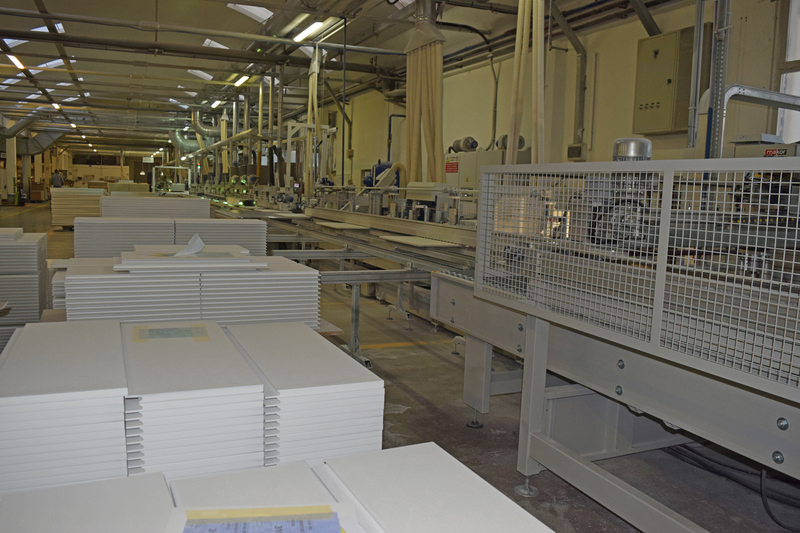 Included was a tour of Friulmac’s facility in Pavia di Udine, where the production of machinery for flooring, doors and other applications takes place. The North American contingent included representatives from Hoffman Cabinets Inc., Innovative Custom Trimworks & Woodmatrix, Widner Product Finishing Inc., Universal Woods Inc., Maze Machinery and Woodworking Network, along with representatives from Cefla. 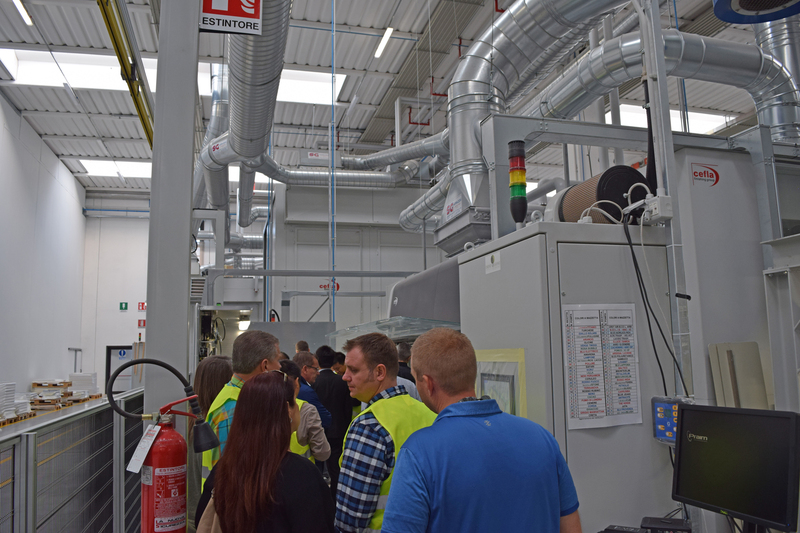 High-speed production is the hallmark of Ilcam, the first stop on the tech tour. The Cormons-based cabinet door maker produces 70,000 parts per day at its roughly 646,000-square-foot facility, with styles ranging from traditional to contemporary. A high-production manufacturer, Ilcam offers both high-gloss and matte finishes on its cabinetry doors. 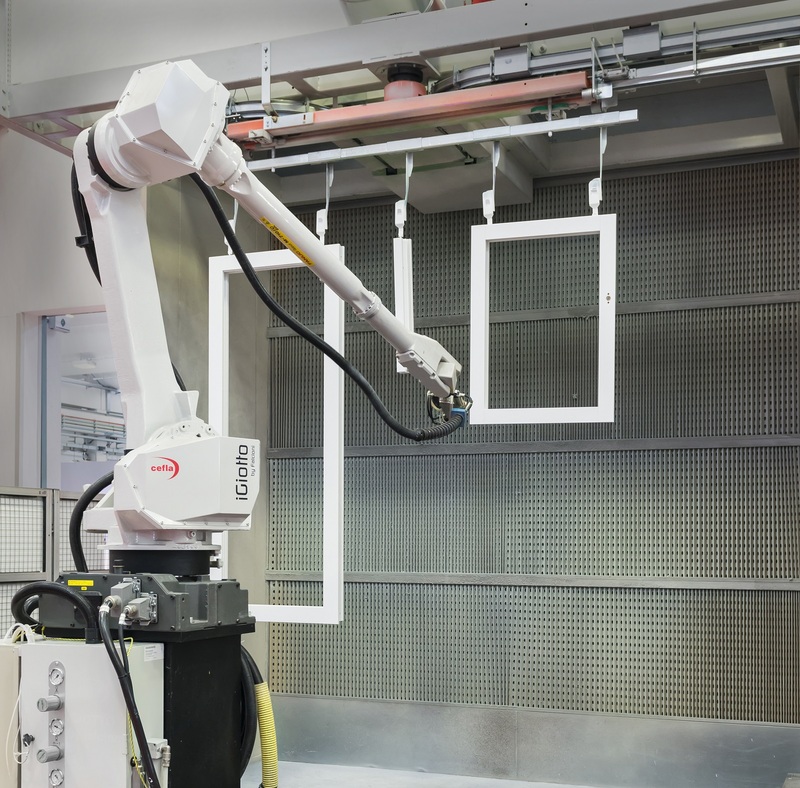 The high-gloss line features Sorbini/Cefla Smart Clean double brush stations which feed into an iBotic spray robot, before moving into two sets of Cefla ovens. 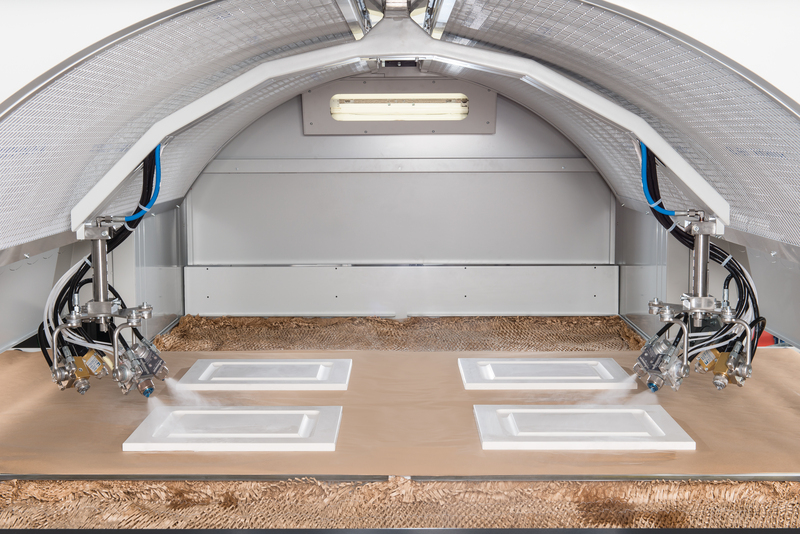 Nearby, a matte line for finishing MDF doors includes Cefla Roctre reciprocating sprayers in line with Biesse Viet sanders. The line also features two sets of Cefla Omnidry vertical ovens with the Flexpro function for variable load thicknesses. Also noteworthy is the company’s 656-foot-long (200-meter) U-shaped paint and stain line. Parts are conveyed from the Viet sander to the Cefla rotary stain machine for the first coat. The line utilizes Cefla’s Smart Conveyor system with sensors to optimize panel positioning for charging into the UV ovens, after which a CMB turner flips the panels for finishing on the front. After sanding on a Quickwood, the panels go through the Cefla Rotostain, are dried, then moved directly into Cefla sprayers and Quickwood sanders for the sealer and topcoat applications, before drying in Cefla vertical ovens. The company also recently installed a Cefla cogeneration system. In addition to finishing, Ilcam’s capabilities include: CNC machining, veneering, flat lamination, membrane pressing, profile wrapping and edgebanding. The company recently installed a Cefla cogeneration system at the plant. It’s also worth mentioning a division of Ilcam, LICAR SpA recently formed a joint venture with Olon Industries to manufacture Euro-style cabinet doors in the United States. OL Frontal Solutions is set to begin production in early 2019. LAPM utilizes Smartedge technology to coat and sand both straight and shaped panel edges. The company specializes in gloss and matte lacquered cabinet doors. Final coating application is performed at a nearby location, where LAPM uses a Roctre reciprocating system to apply the topcoat in various gloss levels. 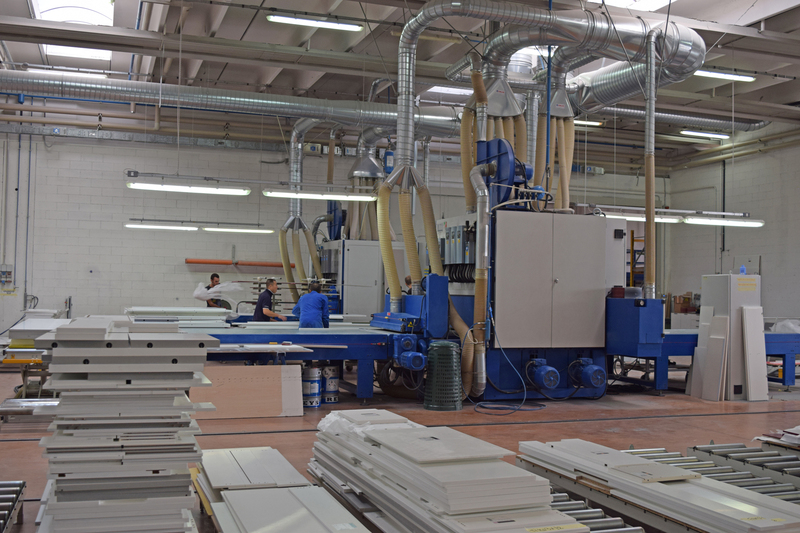 LAPM, which has four facilities and more than 226,000 square feet of production space, manufactures more than 5 million lacquered doors per year, according to its website. See LAPM's lacquer application in this YouTube video, below. Along with its finishing capabilities, Italdecor also offers laminated backs to match the front finish. See Italdecor's operation in this YouTube video, below. 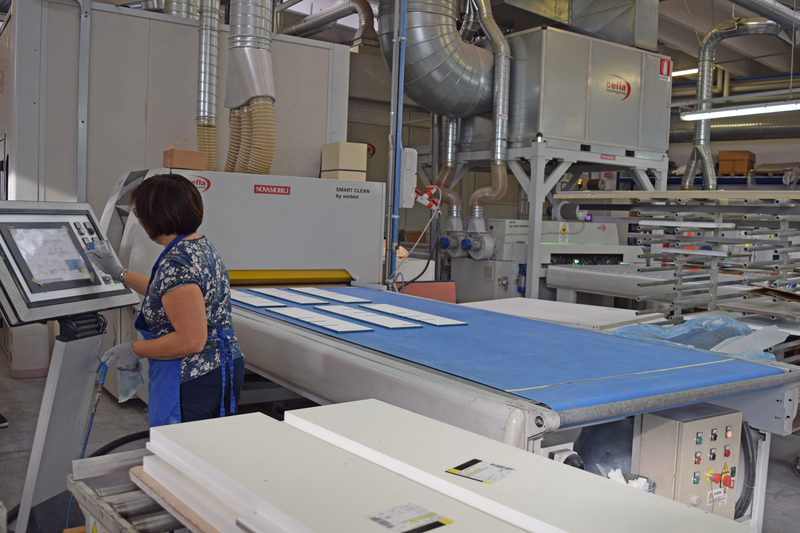 The finishing of components for bath and laundry room storage solutions was next on display at Maron di Brugnera-based Arbi. In addition to full panel processing capabilities, the company produces modular units and multifunctional units at its approximately 237,000-square-foot facility. Known for its colorful cabinetry, it’s not unusual for Arbi to have more than 40 color changes a day with a variety of gloss levels available, said a representative. More than 5,000 square feet of parts are processed daily. Sanded on Costa sanders, parts on one line are fed into a Roctre two-arm oscillating spray system that scans the workpiece shape to optimize the spray trajectories and paint consumption. A Smart Conveyor charges the parts for feeding into the Sorbini UV, then moves them into a Cefla two-chamber vertical oven followed by a four-chamber oven. Also in use at Arbi is a Cefla Big Bag Skimmer, which uses treated water to separate out the solid particles from the overspray material. Another sustainable manufacturer, Novamobili specializes in flexible, modular systems, including wardrobes/closets, bedroom and living room furniture. The company has been using matte water-based lacquers since 2005, with more than 20 colors available. 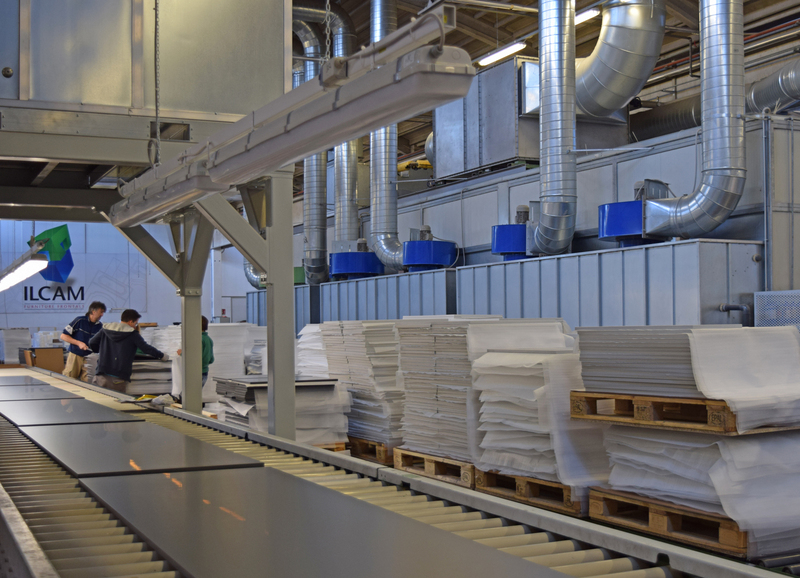 At Novamobili’s 646,000-square-foot facility in Pieve di Soligo, the focus was on the processes used to finish the roughly 13,000 square feet of parts per shift. One finishing line includes a Cefla/Sorbini Smart Clean brushing machine feeding into an iBotic interpolated axis Cartesian spraying robot. Novamobili specializes in matte, water-based laquer finishing. Smart Clean panel cleaners are integral parts of both the iBotic and Roctre finishing lines. Quality control is critical and is checked throughout the process. In addition, covered conveyors are used to move the parts to the four-chamber Cefla oven; depending on the time required, the parts exit into a UV-R dryer, or go to a second four-chamber oven before curing. Nearby, a second line moves product from the Smart Clean brushing machine to a Roctre oscillating spray system. 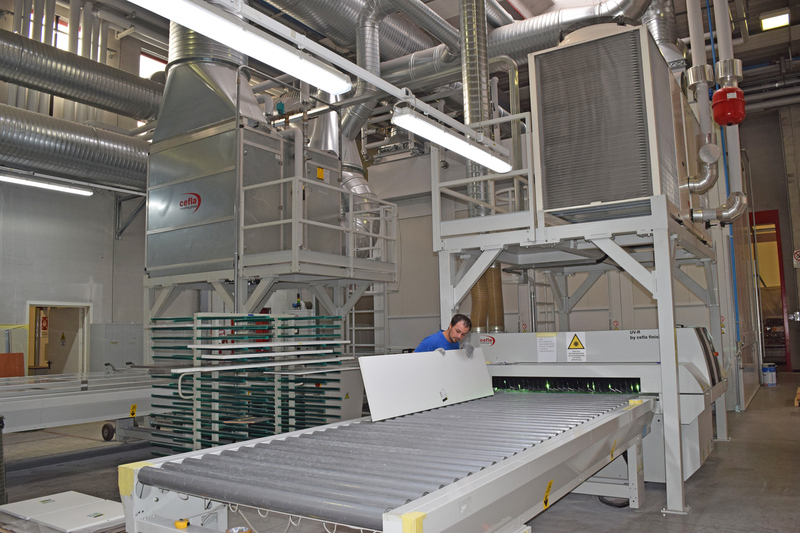 Once the matte finish is applied, the parts transfer via a covered conveyor system to the four-chamber oven, then to the UV-R before they are offloaded. Both sides of the product receive finishing. A full-service manufacturer, Novamobili’s furniture is FSC and Eco Panel certified for sustainability. The company is part of the Battistella Co., one of Italy's leading producers of furniture and systems. For more information on Cefla North America, the Italian school for finishing, or its finishing products, visit CeflaFinishing.com.